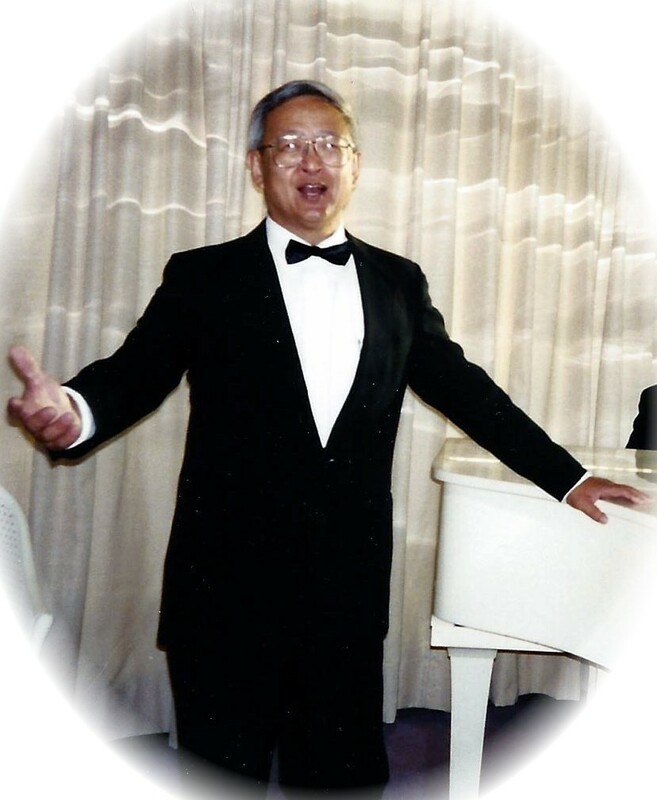 Our spring concert is dedicated to chorus member Benno Wang, who passed away in 2014. Benno Sheau-Tong Wang was born July 27, 1938 in China, the second child and only son of Tsen-Nan and Chun- Wang. He grew up in Taiwan where he sang in the church choir and played sports in school. Singing was his first love. He attended Soochow University where he majored in Foreign Languages and met Mena. In 1964, Benno and Mena came to America. Benno studied Electrical Engineering at Cal State Northridge in Los Angeles and worked three jobs. He and Mena soon married and had Frances. Kevin came seven years after that. In 1978, the family moved north to Silicon Valley. He worked for IBM and later for many different high-tech start-ups, where he spent his career building hard disk drives. He liked to joke about all the times he almost became rich. He also went back to school and got his Master’s degree from San Jose State University. He later taught at San Jose City College. Because they lived out in the country, he spent his free time planting fruit trees, growing vegetables, and raising chickens, ducks, horses, and cows. He sang in several choirs, including the San Jose Chinese Choir. Twelve years ago, he and Mena retired and moved to the Big Island of Hawaii. He built his house, played senior softball, and sang in every choir in town. One of his lifelong dreams was to have a pond in his backyard where he could sit and fish every day. In addition to building his own pond, he also began volunteering to clean all the other ponds in Hilo and to share his lotuses and water lilies. His four grandchildren came every summer to follow him around. He enjoyed singing with Jonathan Griffith in Carnegie Hall and Lincoln Center. Among family and friends, everyone called him “Wang Ge,” or Older Brother Wang, a term of great respect. He was the one people looked to for guidance and help. He liked to help others in need just because he could. He loved to eat good food and often remembered each event by what food was served. He was kind hearted and always laughing. And whenever he arrived at a party, everyone would beg him to sing. He was loved by all.